The owners of Sarasota’s Fashion Focus Hair Academy recently renovated the salon training facility to coincide with the 30th anniversary of its founding. Led by owners Richard Weintraub and Aaron Weintraub, in partnership with the salon designer Leon Alexander of Eurisko Design, the academy expanded from 4,800 square feet to 5,500 square feet and added new design elements, environmentally friendly features, bluetooth monitors, a new barber certification program and more. The goal was to design a state-of-the-art space that emulates the best service and retail locations in the beauty industry and offer an educational experience that sets a new industry standard. 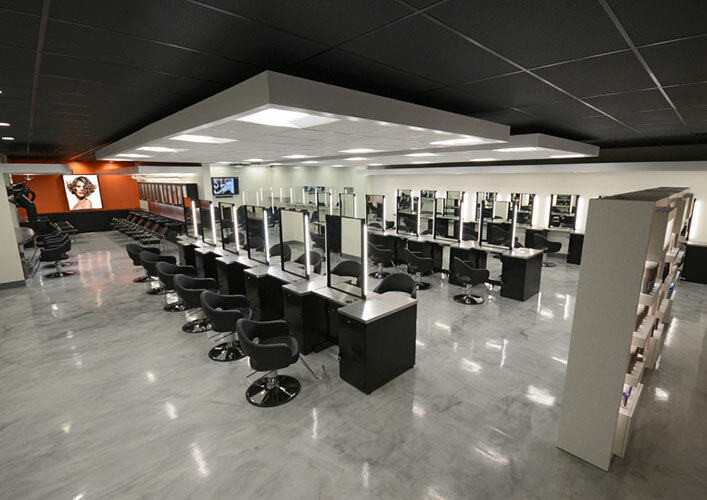 A 30th Anniversary renovation of Fashion Focus Hair Academy to revolutionize and bring a new one-of-a-kind teaching experience to Sarasota reached a new level of recognition recently when Salon Today and North American Hairstyling Awards (NAHA), the industry's equivalent to the Oscars, selected the Academy as one of their 2018 Salons of the Year.